Augsburg - With the Bundesliga back at full tilt after the winter break and FC Bayern Munich grabbing the domestic headlines as they continue to swat aside all-comers, other noteworthy achievements can all too easily pass under the radar. One Bundesliga player curently making waves on the interntational stage however is FC Augsburg striker , who has reached the final of the CAF Africa Cup of Nations 2013 with Burkina Faso. The imposing frontman may not have scored for the Bavarians in his 15 league appearances so far this season, but he has more than played his part in the west African country reaching the showpiece match in the continent's flagship tournament, currently being held in South Africa. 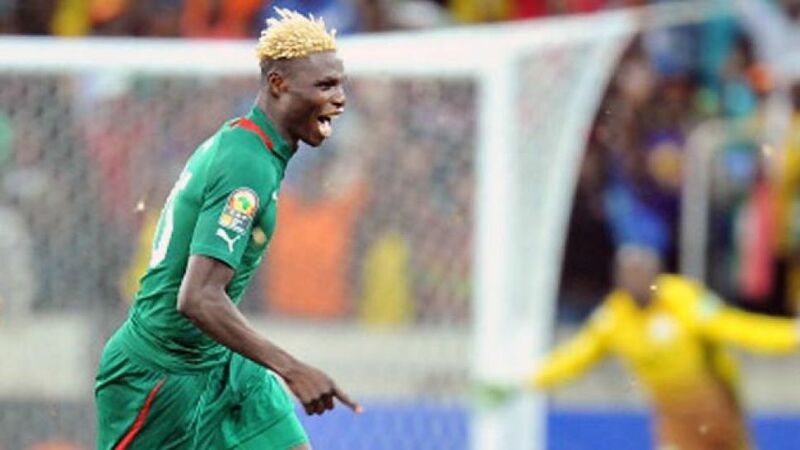 In Wednesday's semi-final against Ghana, Bance's 60th minute strike brought the scores level at 1-1. With no further goals through to the end of extra time, the 28-year-old kept his cool to bury the decisive penalty in the shootout, which Burkina Faso won 3-2 to set up a final showdown against Nigeria on Sunday. The two nations have already faced each other once during the competition, sharing the spoils in a 1-1 draw in Group C, which Bance and Co topped with five points from three games. Regardless of Sunday's outcome, Augsburg will be delighted to welcome the striker back, despite their own fine form since the turn of the year which has produced a win against Fortuna Düsseldorf and draws with FC Schalke 04 and VfL Wolfsburg. Coach Markus Weinzierl's men hope to improve their chances of escaping the relegation zone when they host fifth-placed 1. FSV Mainz 05 on Sunday afternoon (kick-off 15:30 CET).